KUMAMOTO - Kumamoto Gov. Ikuo Kabashima, known for his efforts to promote the prefecture through its much-loved black bear mascot Kumamon, was re-elected for a third four-year term Sunday, the local election board said. 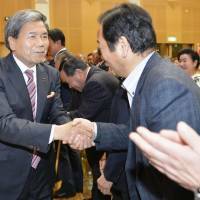 Kabashima, 69, backed by the local chapters of the ruling Liberal Democratic Party and its coalition partner, Komeito, beat Seishi Koyama, a former Kumamoto mayor, and Daisuke Terauchi, a lawyer backed by a civic group affiliated with a local chapter of the Japanese Communist Party. With all ballots counted by midnight, the incumbent won 504,931 votes, while Koyama and Terauchi, both 50, garnered 201,951 and 33,955 votes, respectively, the election board said. Voter turnout was 51.01 percent, up from a record low 38.44 percent in the previous election four years ago. Kabashima commanded wide support from the public for his performance in his second term, during which incomes from agricultural production rose and the prefecture was heavily promoted through the Kumamon mascot. The mascot remains one of the most popular regional mascots in Japan. 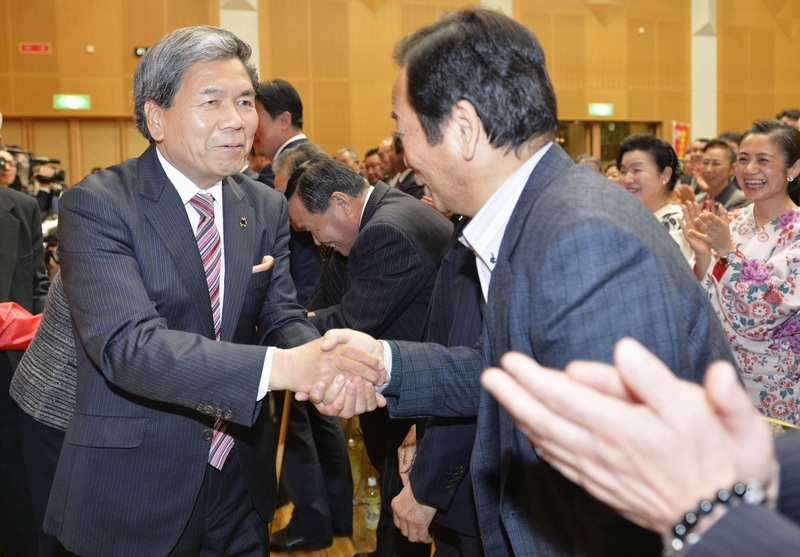 Koyama vowed to promote the economy in rural areas and Terauchi advocated a halt to a local dam project.